Roofs are the most important aspect of a mobile home. Roofs not only protect the home and its contents, it also holds 100% of a mobile home’s structural integrity. Therefore, a healthy mobile home roof is vital and must be maintained because water can do a lot of damage in a short amount of time. In this article, we’ll cover the basics on how to find and repair leaks on mobile home roofs. Even the most proactive homeowners will eventually need to find and repair leaks on mobile home roofs. The National Roofing Contractors Association (NRCA) recommend that all homeowners inspect their roofs at least twice each year, in the spring and in the fall. The faster you find a leak the less damage it can cause. Both flat and shingled mobile home roofs face the same nemesis. Snow and rain cause the majority of mobile home roof leaks. Snow is especially a problem for flat roofs. While flat roofs aren’t completely flat, they don’t have much of a pitch and that allows the snow to just sit on the roof and melt slowly. Tree branches and flying debris from a neighbor’s yard causes a lot of mobile home roof leaks. There’s not a lot you can do about flying debris but keeping the trees around your home trimmed can reduce a lot of headaches. Moisture, either via condensation or leaks, are common issues in older mobile homes. In fact, they are such a big problem that HUD has written in-depth books on moisture. Of course, we need to mention improper installation. This can occur both in the factory during original construction or on a previous mobile home roof replacement. This is another issue you can’t do a lot about other than thorough inspections at least twice a year. In the construction material world, it’s hard to test for every issue or environment. Roof coatings are known to crack and stretch which can allow water through the membrane. Ideally, there will be some kind of visual clue that signifies a leak is happening. Sagging or bowing on your ceiling, walls, gutters, or siding usually means there is an issue caused by either water or heat. 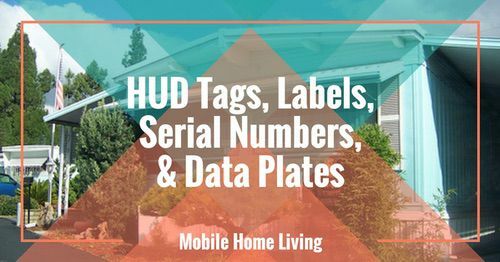 Dark spots on your mobile home’s ceiling are the most common indicator that you have a moisture issue of some sort, either a leak or condensation. If your wallpaper or vinyl-coated wall panels starts peeling you’ll want to do a thorough investigation around the area to determine why it’s happening. If you can see light peaking through a crack near a door, window, or wall it needs to be sealed. If light can enter, so can water. If you do have one of the signs above, or already have buckets catching water, you will need to find and repair leaks on mobile home roofs. 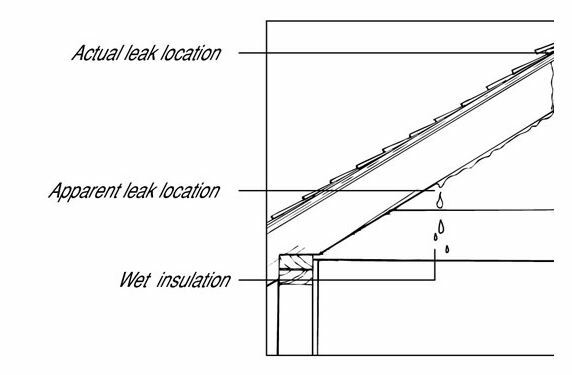 Finding the leak is usually the most difficult part of any type of roof. Since shingled roofs are most common on modern manufactured homes and flat roofs are most common on older mobile homes, we’ll divide the two types of roofs for both finding and repairing leaks. Leaks follow the path of least resistance which can make it difficult to locate the problem. While a leak may reveal itself in one place the actual cause of the leak could be 4 foot above it. Once water passes the roofing, it flows along the sheathing, roof rafters, or topside of ceilings until it finds a place to drip down—inevitably onto your favorite piece of furniture. A leak may not always be where you think. Replace immediately and check for popped nails need to be hammered back in place carefully. Tip: Check the gutters for pieces of shingle, a sign that shingles are damaged. A nail or other sharp object will create a hole that water can drain into. The boot that surrounds your plumbing ventilation pipes can become cracked or damaged. The metal strips around the chimney, vents, and skylights and along the marriage line shouldn’t be torn or buckled. Leaks often occur on the edges of a mobile home, where the roof meets the exterior wall. 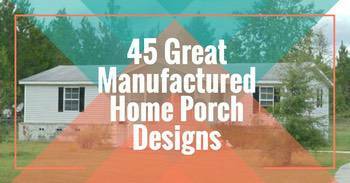 Winter weather brings a whole new set of issues to a homeowner. Ice can create a barrier that doesn’t allow snow and ice to slide off the roof. Learn more about ice dams here. Old, cracked vents may need to be replaced. 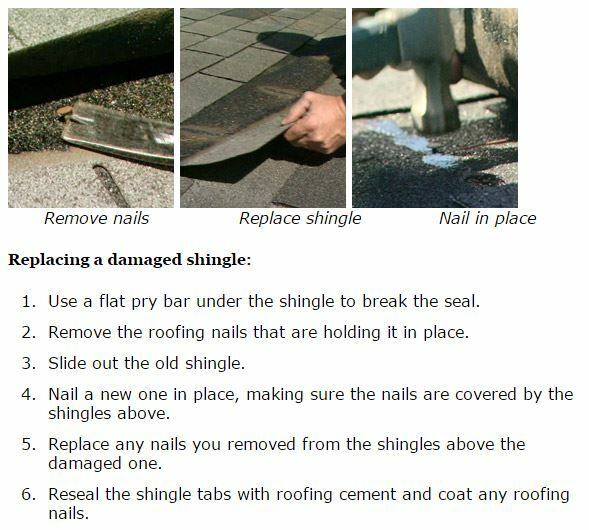 Most leaks occur due to damaged flashing, damaged or missing shingles, or the ridge cap (where the top meet) so pay special attention to these areas. 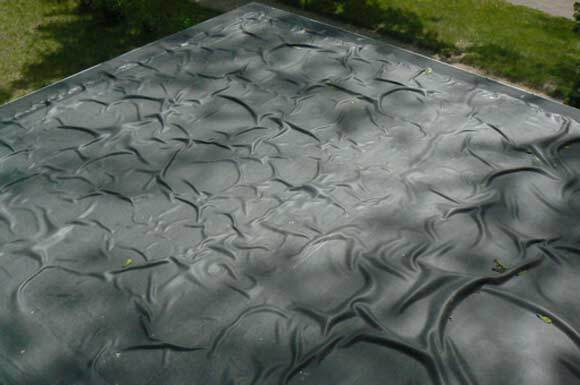 If you have a membrane roof (often described as rubber), look for tears, cracks, blisters and seam separation. Issues around chimneys and plumbing stacks are common. 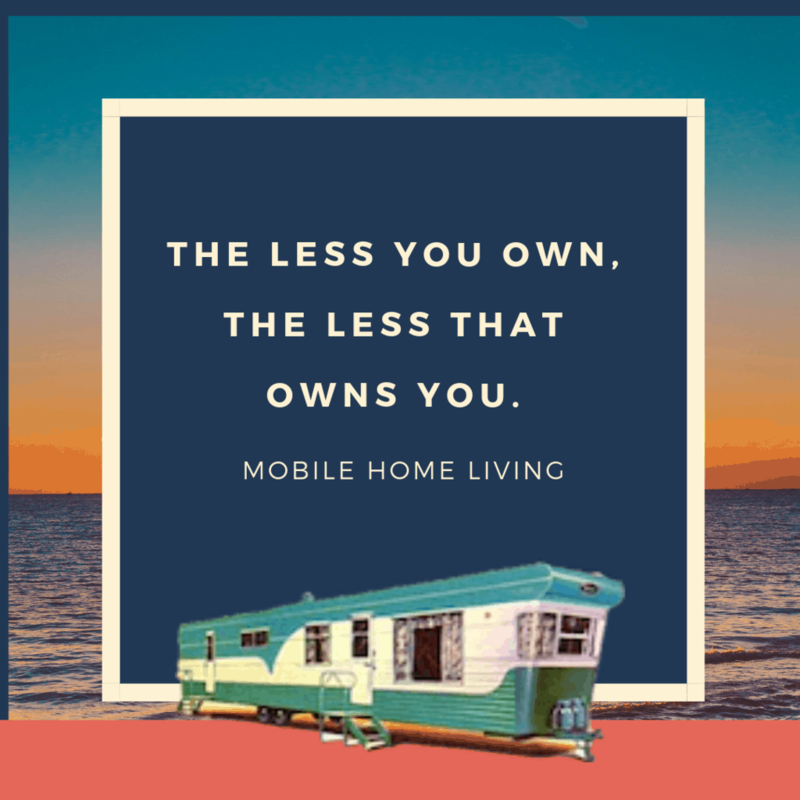 Learn more about a flat roof on a mobile home here. Bubbles on a rubber roof (EPDM) need to be cut in an X and patched. Learn more here. Once the leak has been found you will need to get it repaired quickly. If you are dealing with a sudden roof leak you will need to add some kind of barrier until you can get it repair properly. Partially unroll or unfold enough heavy (6-mil) polyethylene sheeting to cover the leaking section of roof, from eaves to peak; add about 4 feet extra, and cut it with a utility knife. Wrap one end around a 2 by 4 that is as long as the plastic’s width; staple the plastic along the 2 by 4. Sandwich the assembly with a second 2 by 4, and nail the boards together with three or four 3-inch or 3 1/4-inch common nails. Place the sandwiched end of the plastic along the eaves.Stretch the sheeting from eaves to ridge, running it over the top of the ridge and down the other side a few feet. Sandwich the top end of the sheeting with another pair of 2 by 4s so the wind will not carry it away. Do not nail any part of this assembly to the roof. 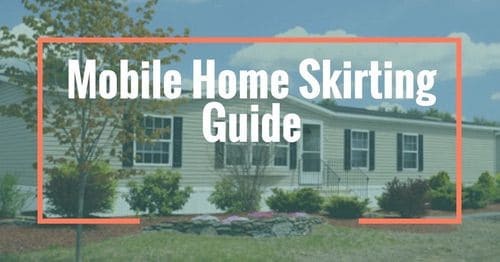 In some cases, you will be able to repair simple mobile home roofing leaks caused by issues such as missing shingle, caulking breakdown, and flashing damage. The rest is probably best left for a roofing professional. For complex leaks on mobile home roofing, you will want to call the professionals. Remember, water is the most destructive force on earth – it’s not to be taken lightly. If your inspection raises concerns about the condition of your roof or you feel you need an expert opinion, contact a qualified roofer in your area. Most offer free inspections and no obligation estimates for repairs or for a new roof. If you do decide to contact a roofer, there are several steps you should take to ensure that you protect yourself from fraud and from unscrupulous contractors. First, make sure you contact contractors that are licensed by the state or county in which you reside. You can go online to check their status and always ask to see their license. Second, always get several bids for the work because that will help you determine if the cost is fair. Third, ask your neighbors and friends for referrals. There is nothing better than a recommendation from someone you know and trust! Fourth, ask for a sample of the material that your contractor will be using and make sure that when the truck shows up that the material on the truck is the same as the sample. Lastly, make sure you get the warranty information in writing so you protect yourself in the event you need warranty work in the future. If you follow these simple steps, your experience involving a roofing contractor will be a pleasant and professional one. Leaks cause a lot of damage. If a mobile home roofing leak isn’t quickly repaired it will likely damage your entire home, from roof to floor. That’s why inspections are so important – you need to catch leaks as quickly as possible. 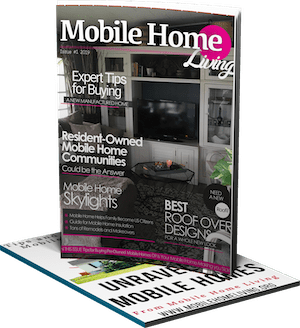 These 2 articles have some step-by-step photos and advise on how to repair and paint cracks in regular mobile home walls made of POG or VOG (paper on gypsum or vinyl on gypsum). The problem with most mobile home wall and ceiling cracks is that we can’t find replacements that match the patterns (or ceiling panels that are long enough) so we have to get creative. 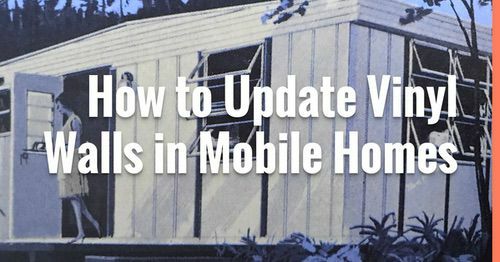 The first article is called How to Update Vinyl Walls in Mobile Homes and the second one is Our favorite Tricks to Update Mobile Home Paneling. Just click on the titles. Best of luck! 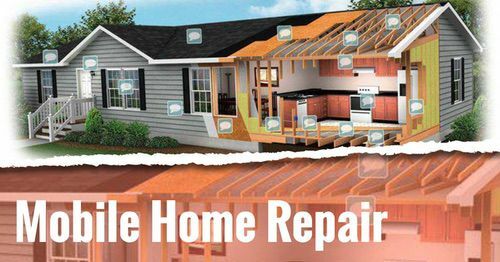 Very thorough overview of roof repair tips. I would add that anytime a commercial roof is leaking you should call a professional right away. If it’s TPO membrane you can do more damage to the roof by trying to figure out the problem on your own. How much should I expect to pay to put a metal roof on my 12×50 mobile home. Nothing fancy just attaching to the existing roof. The existing roof needs more than re coating as it has had in the past. In WV, you could probably get a new roof installed for around $4-5k. I understand things are a lot more expensive in other states though, especially labor so keep that in mind. Make sure to get at least 3 estimates and research the company before you hire them. Yep, I use that liquid polymeric roof coating that goes on like paint and drys like a contiguous sheet of rubber. That stuff will stop anything. I used to use Snow Roof but it seems difficult to find so I get the stuff with the red lid at Lowes. One 4 1/2 gallon bucket will cover my 14×60 roof one time. I like to put on 2 coats to be sure. It can be tinted as well with regular paint tint if you don’t like the bright white. I prefer the bright white since its reflective properties also help my AC thermostat. well quite right roofs are the most neglected part of our houses we most of the people trying to maintain their interiors but they ignore roofs.